It’s taking a little longer than I expected to finish my daybed, but I haven’t given up! We’re making progress, and just have another day’s worth of work before it’s done. Yesterday, I primed the frame. After the primer was dry, Aubrey and I used a scrap piece of MDF to make the braces for the back. Once we screwed them into the backrest, it was time to screw the braces into the back of the arms (which is actually the front of the arms, but I turned it around). 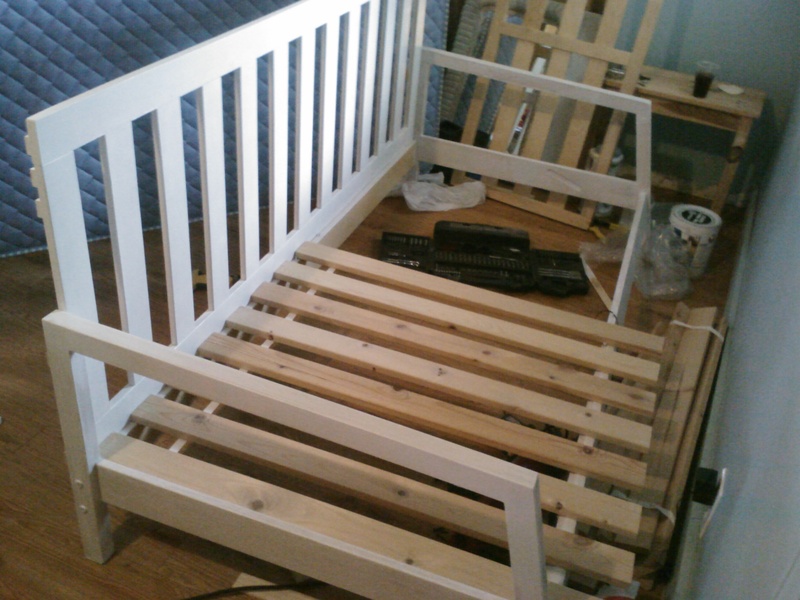 The next step was to add the slat supports for the mattress. Because there isn’t anything to keep them from slipping off the front, I just put a nail in the back and one in the front. Even Ron is totally impressed that I’m pulling this off. He thought I was crazy when I said I was going to turn the Lillberg into a daybed. Now I’m just a couple coats of paint and a few nails away from finishing my knock-off designer daybed. The wall color is “Peppery” from Sherwin Williams. 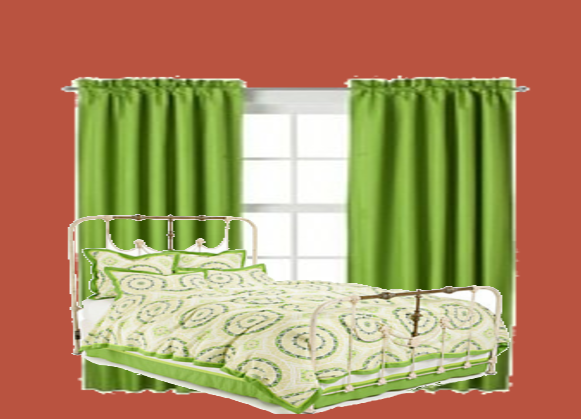 The curtains are from the kids’ section at Target. The duvet set is “Mariette” by Anthropologie. I got it on eBay a year ago, for when we staged our house to sell. Ron said it was eye shredding, so I stopped using it, and it has sat in the closet, which is such a shame. I love it, and I’m excited to have a place to use it, finally. I have the shams and the euro shams, so that will be enough to go across the back of the daybed. Unfortunately, this very simple bed is about $800, and not available in the US, only in Europe. So what’s a girl to do? Well, one option was to have it custom built. That would be less than $800, but still out of my price range. I could build it myself. That would be about $200, still out of my price range, and beyond my skillset. 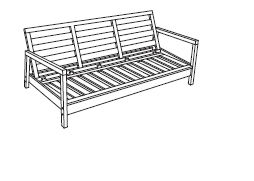 OR, I could hack an IKEA Lillberg sofa that happened to be collecting dust in my shed for a cost of…$0. Definitely my price range! The IKEA Lillberg is slightly smaller than a twin mattress, but large enough that it just takes a little squish to get it in there. 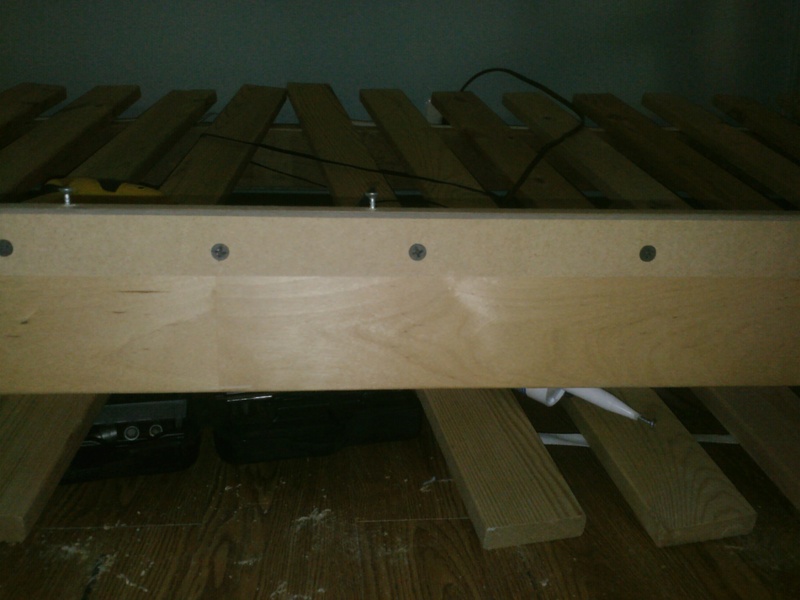 The reason it needed to be hacked is because the seat section is too narrow to hold the width of the mattress; it left about a 6 inch overhang. If Aubrey, the lightest person in the house, sat on the edge, the mattress flipped up. My husband said I should give up and sell the sofa. Even Aubrey said I should give up and sell the sofa, then buy a daybed. Great idea…if I had an extra $300 to go with the $100 I’d get from selling the sofa. Besides, I wanted to get as close to the daybed above as I could. Yeah, I know, it doesn’t look even close to the daybed above. The slats on the back are horizontal. But if you notice the slats on the seat are vertical. The only thing holding those two pieces together is five hinges (30 screws). The seat portion is also taller than the back portion, so using it will give me a bit more area to lean pillows against. First thing we needed to do was to take the seat apart. 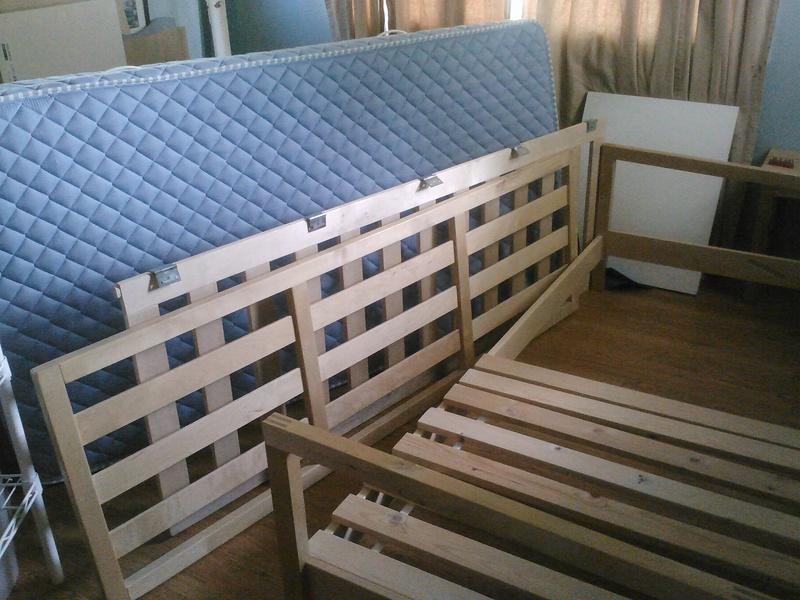 I then used the slats from Aubrey’s old IKEA Robin bed. 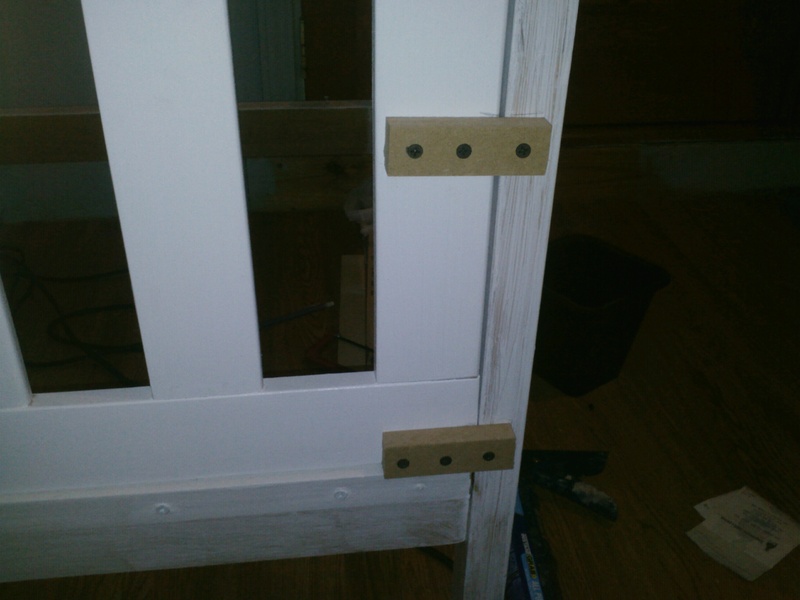 These are standard IKEA slats, and the twin size sells for about $20 brand new. We stretched them across the side rails to make sure they’d fit, and they did. All I needed to do was add a few screws so they would stay spread apart. On the actual bed, there are some dowels that stick up for this purpose. For me, screws were easier. There are four wooden dowels that are part of the sofa; two go into a groove in either side so that the seat is adjustable into three positions. The other two are there to support the back. All four had to go. Because the seat and back are both meant to go inside the arms, that meant I needed something to support it across the bottom, and then I could use small pieces of wood to go across the arm and back, two on each side. Fortunately, we just happened to have a long piece of scrap mdf from when we bought a sheet to have our bathroom shelves cut. Aubrey cut it down to the right size, and then I used my favorite construction invention ever…Loctite Power Grab. A squiggle from end to end, and then we held it in place at the top of the back side rail for a few minutes while it cured, and it made the perfect cleat to hold the backrest. The Lillberg arms are actually slanted in the back and straight in the front. I decided to turn it around, and use the straight side of the arms as the back. That also gives me a straight surface to work with for screwing the backrest into place later. However, before I could do that, I needed to screw the cleat into the side rail. Although Loctite rocks, I don’t quite trust it to hold up a rather heavy back. I made pilot holes, but they were too small for the decking screws I intended to use. I went back with a larger bit and made the pilot holes bigger, but they were still too small. The third round of pilot holes with a 1/8 inch bit did the trick. 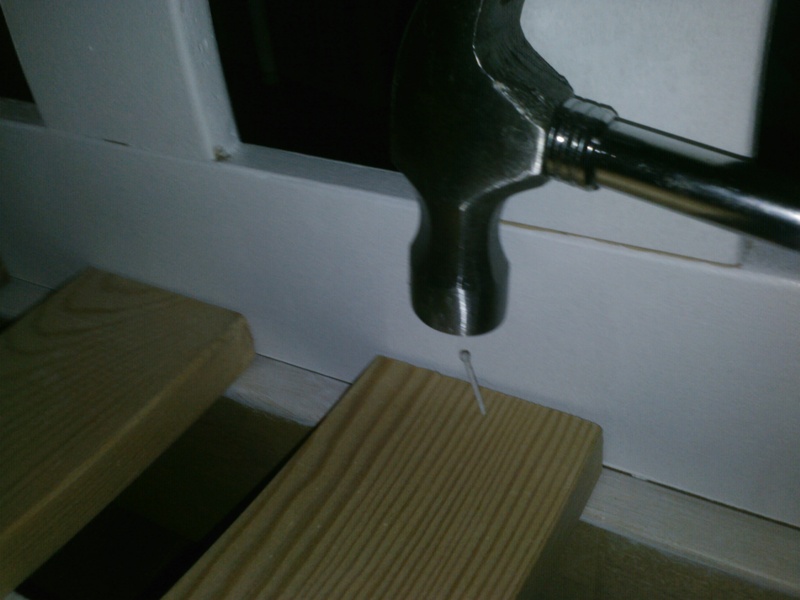 When working with real wood, be sure to always drill pilot holes, or you risk splitting the wood. Once all the screws were in, I called it a day. Later this week, I’ll prime and paint the frame and backrest, then glue and screw it all together. I’m halfway to the knock-off daybed of my dreams! 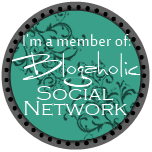 If you like what you read, please take a second to click and share that particular post, whether it is on fb, reddit, or stumbleupon. It would mean the world to me, or perhaps I should say, it would mean me to the world. 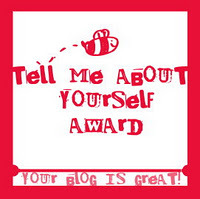 My third award...a second Liebster Blog!